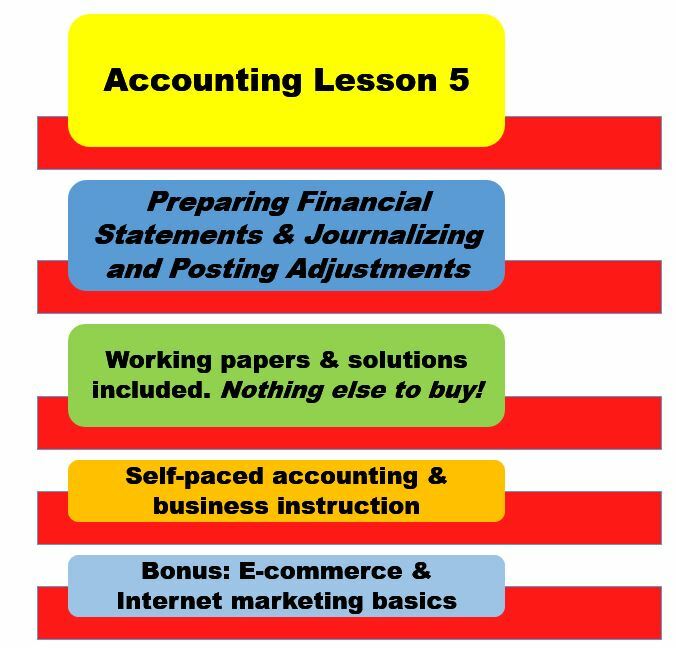 In this lesson, we will concentrate on steps 7 and 8 of the accounting cycle – prepare financial statements and journalize and post adjusting entries. Lesson has 33 pages. Working papers & solutions included. Nothing else to buy! Bonus: E-commerce & Internet marketing basics (10 things to know @ Internet marketing). All lessons are written by our team of accounting experts. Let our expertise work for you!